Cherry trees herald Spring, with their beautiful blossoms. With our warmer summers, they also provide luscious fruit, and with a full tree of cherries, it can be difficult to know how to cook and preserve them. 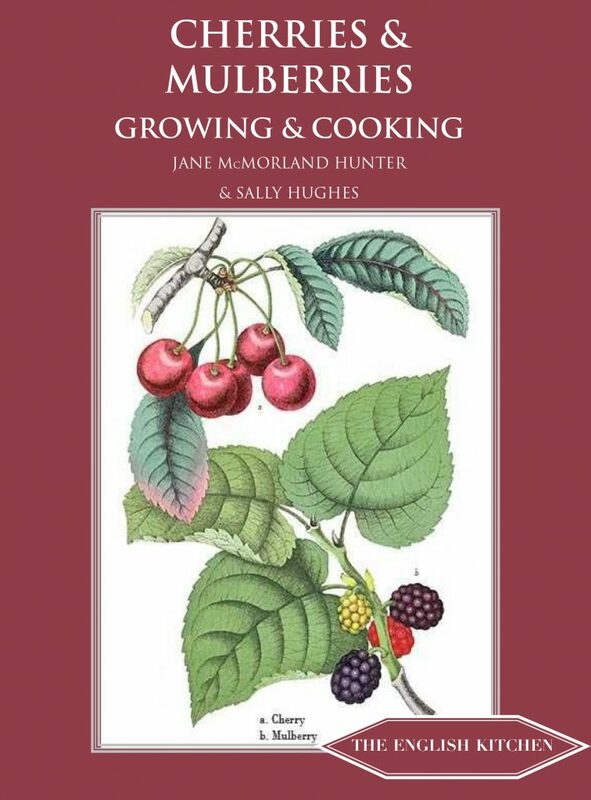 This book provides the inspiration and with the help of the authors, you can enjoy the fruit through the summer months.. Mulberries are more unusual and represent a challenge. Wild cherries originated in the Caucasus Mountains, and cultivated cherries spread from Rome, to Britain, and then to the USA in the 1870s. Black mulberries came from central Asia, reaching Europe via ancient trade routes. White mulberries came from China and formed the highly-lucrative and closely-guarded silk trade. Red mulberries are native to the USA and grow into remarkably pretty trees. The authors have included over fifty recipes, ranging from a cherry sangria to winter dishes of braised venison with cherry sauce, and duck with mulberries, to summer pudding and a delicious array of cakes, biscuits, chocolates and strudels. Jane McMorland Hunter studied History at Edinburgh University and has written a number of books, including For the Love of an Orchard, Quinces & Berries in the English Kitchen series from Prospect Books, and two titles in the National Trust Garden Cookbook series. Sally Hughes was a cook at Books for Cooks in Notting Hill, in their ‘food laboratory’, and also works in the National Archives bookshop in Kew.